With parallels to the excellent console and PC first person shooter, Call of Duty, Modern Combat 5 Blackout is basically the mobile equivalent which features stunning graphics and gameplay that is perfectly suited to these mobile devices. Apart from the highly detailed graphics and sturdy gaming mechanics, Modern Combat 5 also boasts multiplayer and a great levelling system to really immerse you into the world of combat. It’s everything you need in a handy portable format. In terms of story, Modern Combat 5 actually has one, even though it’s as clichéd as they come and features the player going head to head with a variety of enemies from across the globe from Tokyo to Venice in order to prevent these villains from destroying the free world. Okay… the story is pretty damn bad but thankfully the gameplay is not. It should also be noted that Modern Combat 5 probably has some of the best voice acting available in a mobile game which definitely helps with the realism and enjoyment factor of this game. 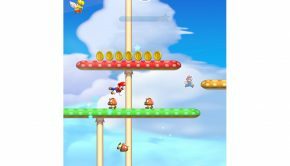 Another great element about the gameplay is that your “experience” is used in conjunction with both the single and multiplayer games which is great as you don’t have to start from fresh in either modes. Also, when you finish a chapter you will be awarded a star out of three on how well you performed and for those perfectionists, you can replay the mission again in order to get a perfect star rating. Another cool aspect about the storyline is that some of the cinemas do require quicktime events to make them more interactive and really keep you on your toes. Another great gameplay feature is the use of bullet-time (aka Matrix) which allows you to control a bullet in order for you to fine tune your targeting. 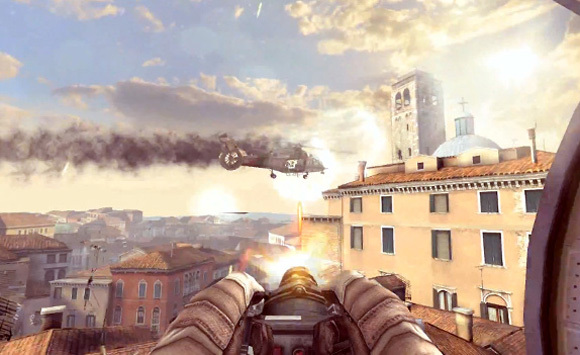 Apart from the main missions in the game, Modern Combat 5 also boasts specs ops that are basically mini missions and require you to perform a set task. These spec ops can be quite intensive given the nature of the missions that you need to complete and sometimes make for some smart phone rage, albeit in a good way, especially when you have completed the mission. Multiplayer is generally a little lacklustre in mobile games but this is not the case in Modern Combat 5 which features everything you would expect to find on a high end console like Capture the Flag or Team Battle. 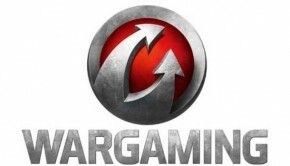 The game also takes a page from Call of Duty which gives players kill streak rewards such as air strikes and other fun rewards. I must admit that Modern Combat 5 was probably the closest a game has got to mimic a console such as the PS3 with not just the graphics but also the multiplayer component. 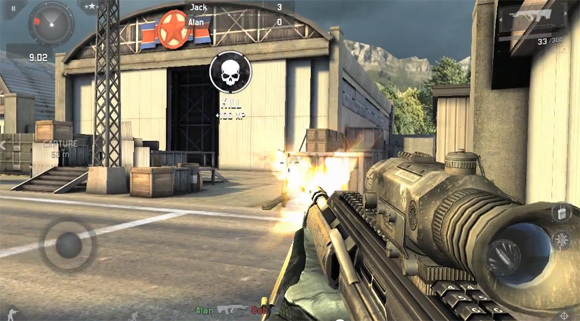 The game boasts four different classes such as recon and sniper, each with their pros and cons. My favourite class was the sniper and assault class which allowed me to either sneak around or run in like Arnold Schwarzenegger with guns blazing. The Assault class however definitely does more damage to your competitors. With that said, the more you play and the more you succeed, the more the game rewards the player through not just levelling up but also additional attachments to your weapons, especially if you have a favourite. These may be small but actually do add to the gameplay of the title such as giving you additional ammunition or making it faster. In terms of controls, Gameloft have done a great job at mapping the controls on the touch screen of my iOS device. At times the game feels like a first person shooter with some elements of a game on rails. Thankfully there is a tutorial available to the player plus auto aiming is available. Graphically, Modern Combat 5 is a real powerhouse on the iOS with some extraordinary graphics. 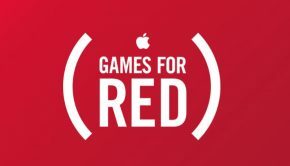 I’ve played the title a few times on my Apple TV and you could almost be forgiven in thinking you are playing a PS3 first person shooter title with the attention to detail in the game. Add in huge Hollywood like explosions and some great lighting plus special effects and Modern Combat 5 is definitely one of the best looking titles in the world of mobile gaming. 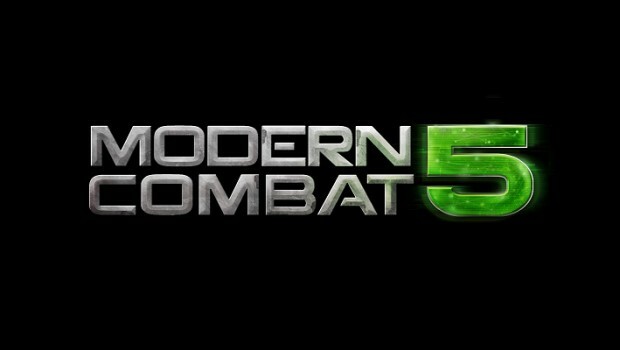 The musical score of Modern Combat 5 suits the title perfectly as do the realistic sound effects and decent voice acting. 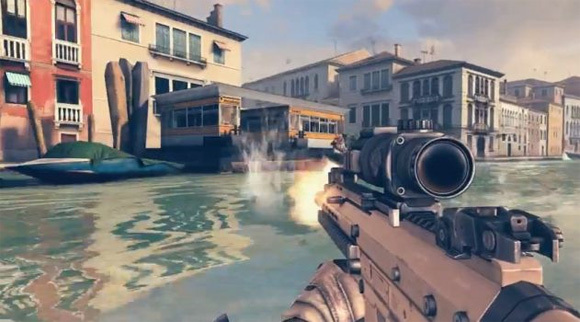 All in all, Modern Combat 5 ticks all the right boxes for gameplay, graphics and audio! Modern Combat 5 Blackout is a revolutionary title on the iOS that successfully proves that console games can be recreated on this platform. 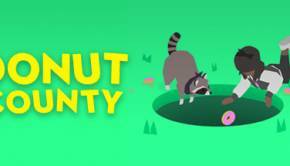 It features great single and multiplayer modes with almost flawless controls and more importantly, Gameloft ensure that there are no in-app purchases whatsoever. Highly Recommended!